I ran into this denim-clad darling as I was coming out of Tailwaggers on Fairfax this morning. She was a little shy at first, but my dog, Rocco, got her to laugh in her Crew Cuts overalls, Levi’s shirt and red Converse high tops. 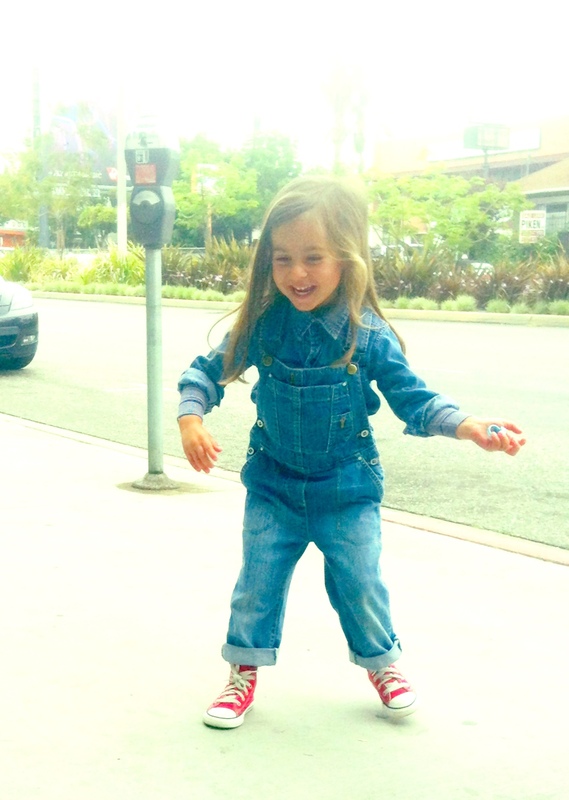 Her mom assures me the whole family is into denim on denim, so let’s hope we see them again. This entry was posted on Wednesday, May 1st, 2013 at 5:30 pm	and tagged with Canadian Tuxedo, Coffee Commissary, Crew Cuts, Denim, Denim on Denim, double denim, Fairfax, Fashion, J. Crew, Jeans, Levi's, Los Angeles, Tailwaggers, West Hollywood and posted in Babies, In The Wild. You can follow any responses to this entry through the RSS 2.0 feed.